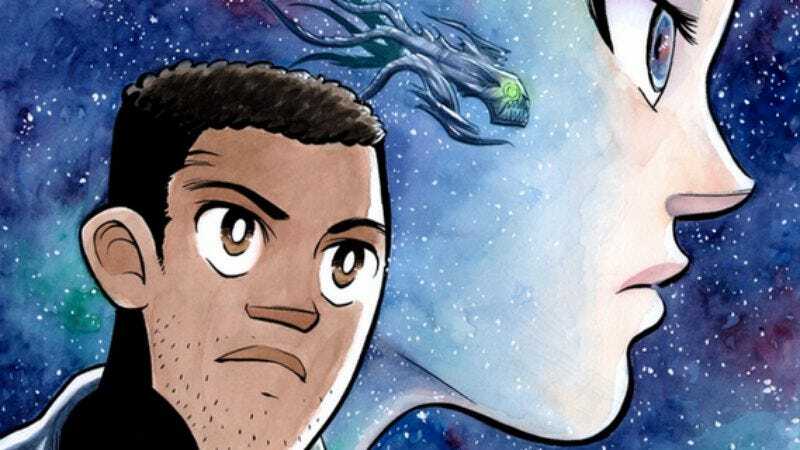 This week, everyone—except Neil deGrasse Tyson—is really hyped on Pluto for the first time since Clyde Plutowski discovered it in 1930, but few people are probably as happy about this renewed interest in Pluto than independent comic book creators Alex Kane and Gale Galligan. In a lucky turn of events, the pair just launched a Kickstarter to pay for a new indie comic project called Asphodel: A Mythic Space Opera that just so happens to take place on Pluto. Well, it’s some kind of space colony orbiting Pluto, but still. Pluto! That’s the thing from the news! Asphodel is being written by Kane and hand-pained by Galligan, and the pair is looking to raise a total of $6,000 by August 12. As Kane explains on the Kickstarter page, he’s a veteran of Seattle’s Clarion West Writers Workshop, where he learned how to write comics from Neil Gaiman and Joe Hill. Gaiman isn’t just an old teacher, though, he’s also one of the Kickstarter backers. Asphodel has its own array of pledge rewards, but is there any reward more valuable than knowing that you gave money to something that Neil Gaiman also gave money to?